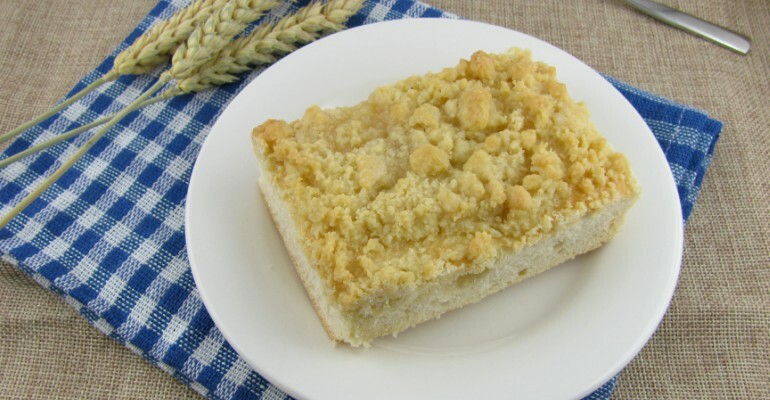 Moist and sweet, this crumb cake directed the police right to my house! seriously, if you’re running from the law don’t make this cake because the police dogs can smell it from a mile away! I had gone shopping with my aunt for my birthday. You see, every year she would take us shopping to buy a couple of outfits or maybe a toy that we really wanted. She wanted to make it special for us, so instead of bringing us a gift, she would pick us up, and take us out shopping. We would try on different things, laugh like crazy, run errands and get something to eat. It was always a fun time hanging out with her and my cousins. Well, one day after a long afternoon of shopping, we decided to get a snack. We had already enjoyed lunch a while ago but were getting a bit hungry. So, we drove over to a little café where she ordered coffee for herself and hot chocolate for my cousins and me. Then she ordered a double batch of crumb cake. I had no idea what that was, but I was interested- especially because she ordered a double batch! Well, turns out this was the best thing ever. It was full of cinnamon sugar goodness and loaded with lots of creamy cheesecake-like filling. USE THE RED NEXT PAGE LINK BELOW FOR THE CRUMB CAKE RECIPE.